We continue our analysis of different kinds of blunders and today we'll discuss the most complicated one. The two kinds of blunder that I described in the first two parts of this article can be fixed relatively easily: (1) When you play a game you should concentrate on the game and on nothing else, and (2) Even when it looks like the game is over ...it is not! So don't relax prematurely until the clock is stopped and the result is posted in a tournament cross table. You will see shortly why the kind of blunder we are discussing today is different. If you replay the above game you can be puzzled. How come a chess player who saw a nice combo which was supposed to bring a win after a Knight's fork on move 4, missed a simple capture of his Rook on move 2? The explanation is quite simple. Even though Black calculated far enough, he didn't clearly see the position in the middle of the variation. Therefore in his head, the White Bishop was moving to h7 (to win Black's Queen) without even stopping on e4 where it was threatening the Ra8. If you think that this explanation is too weird to be true, let me show you another example. Qg2 will be checkmate on the very next move, but he failed to notice that White's pawn h2 moves to g3 and therefore the white King gets a vital shelter on the g4 square. In a perfectly fine position I thought that I found a beautiful combination leading to a checkmate, but when triumph was very close and I was about to play Bd6 and announce checkmate, I realized that it wasn't! So the combination was ruined, my Nc7 was trapped and despite my stubborn resistance I eventually lost. How did I miss that Bd6 wasn't a checkmate and Black could play Kd7 or even Kd8? Simple: in the beginning of the combination the 'd' file was under total control of my Rd1 and therefore his King couldn't even think about stepping there. Unfortunately, my Bd6 which was supposed to deliver the checkmate also was blocking my own Rd1! So, how should you cope with this kind of blunders? A simple answer is you should improve your visualization skills, so you can see the board clearly in your head even after you've made 2-3 moves in your calculations. 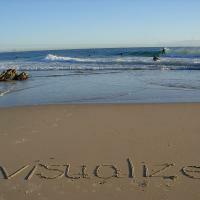 Of course this simple answer doesn't explain how you should work on your visualization skills. There is no easy answer to this question and I never seen any recommendations on this subject in chess books. My own method, which I used a lot especially when I was a kid is pretty simple. Get a game with annotations and play through it. Once you see a long variation (the longer the better! ), you stop there, play the variation in your head and write down the resulting position of the variation on a piece of paper. Then you actually play this long variation on the board and compare the resulting position that you can see now on the board to the one you saw in your head (and just wrote down on a piece of paper). At first the results will be disappointing, especially if the variation is pretty long, but with enough practicing you'll see an improvement pretty quickly. And of course a traditional work on your calculation skills (solving chess puzzles, working on tactical text books) should improve your visualization skills as well. I truly hope you won't experience this annoying kind of chess blunder.